President Donald Trump’s pressure on the Federal Reserve poses risks to the economy, an International Monetary Fund official said Thursday. That pressure has intensified in recent weeks, most recently with plans to nominate political allies Stephen Moore and Herman Cain to the Fed’s Board of Governors. A top International Monetary Fund official warned on Thursday that President Donald Trump’s pressure on the Federal Reserve raises the risk of policy mistakes that could threaten the US economy. “Undermining central-bank independence would be dangerous,” Tobias Adrian, the director of the monetary and capital markets department of the fund, told Bloomberg in an interview in Washington. Trump has repeatedly lashed out at the Fed about monetary policy since taking office, raising concerns about the Fed’s reputation as an institution independent from political influence. He argues that higher interest rates hurt growth, though they’re necessary at times to avoid high levels of inflation. 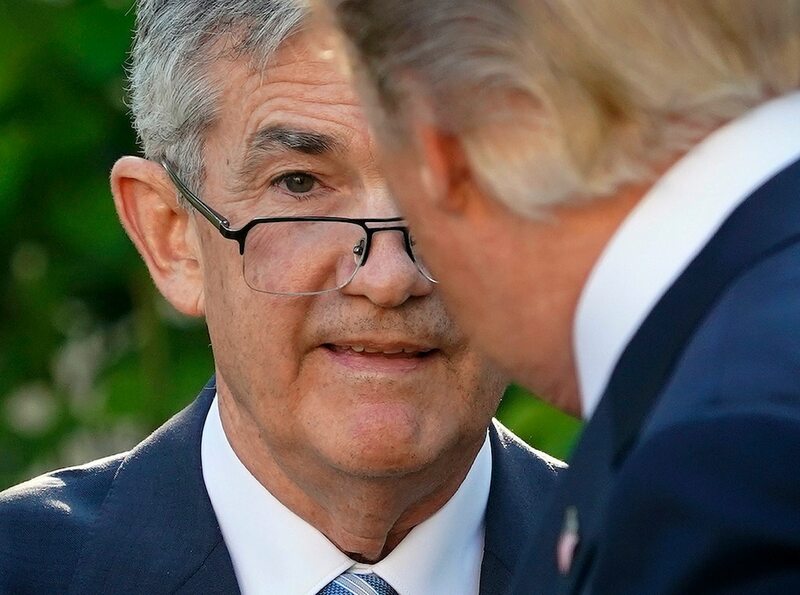 Pressure on the central bank has intensified over the past month, most recently with the president’s plans to nominate political allies Stephen Moore and Herman Cain to the Fed’s Board of Governors. The potential nominations have drawn widespread concern from policymakers on both sides of the aisle. Cain is a former restaurant executive known for his failed bid for the GOP presidential nomination in 2012, where he pitched a plan to overhaul the tax system. A series of sexual harassment accusations surfaced during his campaign, and he now runs a political action committee that aims to address misinformation about Trump. Trump called for interest-rate cuts last week and for the return of a post-financial crisis program process known as quantitative easing, which injected trillions of dollars into the economy. Administration officials such as White House economic adviser Larry Kudlow have also called for lower borrowing costs in recent weeks. The Federal Open Market Committee has signaled a pause in its hiking campaign this year. The economy is expected to cool in the coming months because of the fading effects a sweeping tax cut package passed in 2017, slowing activity abroad and ongoing trade tensions.